adventures in the emergency room | wow…this is awkward. ← my last five weeks (in crayon)! I’ve been to the ER quite a few times in my life. Often, as an infant for renal issues. A few times, as a child for clumsiness. Infrequently, as an adult for out-of-control migraines that left me curled up in the fetal position and crying for Mommy. And weekly as a volunteer at St. Luke’s Medical Center the summer between my first and second years in college, where I helped triage the victims of a gang fight, someone who drove a nail through their leg, and many, many MIs. 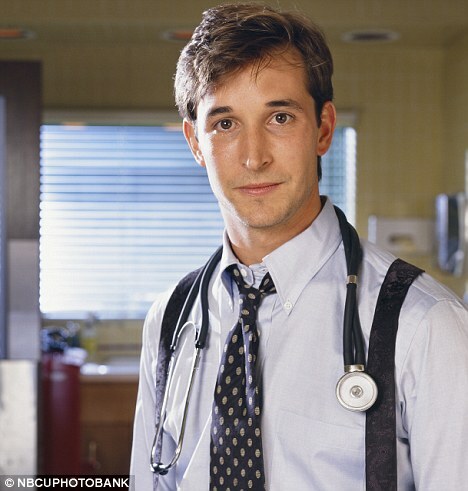 ER was my favorite TV show (Noah Wyle was so cute), and I dreamed of being a doctor in a fast-paced trauma center. I'm pretty sure I practiced writing "Erika Elizabeth Wyle" in some notebooks in high school. And college. My emergency room trips have been varied. During a rare date in high school, I became so sick that my date had to take me home so Mom could drive me to the ER (that was my first and last date with that guy; I can’t blame him). As a pharmacy tech, I sliced my hand open, requiring stitches and a bulky bandage. I wiped out on my sister’s bike at the foot of the driveway and ate some gravel in the process; this required a number of stitches to my upper lip. I got whiplash from a car accident requiring a neck brace (the accident wasn’t my fault, thankyouverymuch), and a sprained knee from an intramural basketball game. More recently—a few years ago—I slammed the back of my hand against a corner of a wall as I was leaving work one Friday and thought I broke it. Two hours and $200 later, I found out that, thankfully, I didn’t. While I saw my doctor for regular checkups when I was home, at Ripon College, we had a nurse who was available a few days a week to dispense antibiotics, cough syrup and condoms. Her name was Nurse Dotty. She always asked if you were pregnant before dispensing any medication (rumor was she even asked the men, out of habit), and while she was a nice lady, students rarely went to her unless they had to. If she wasn’t available, the last resort was the emergency room. The Ripon Medical Center Emergency Room. 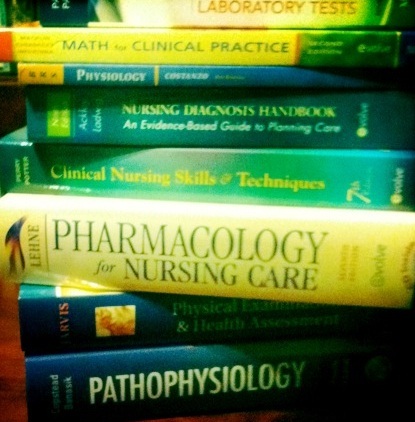 One weekend, during my sophomore year at Ripon, I was suffering from a fever, cough and sore throat. I was miserable, and it didn’t seem to be getting any better. So, that Sunday evening, two of my dear friends drove me to Ripon Medical Center ER, where I was quickly triaged and placed into a room. 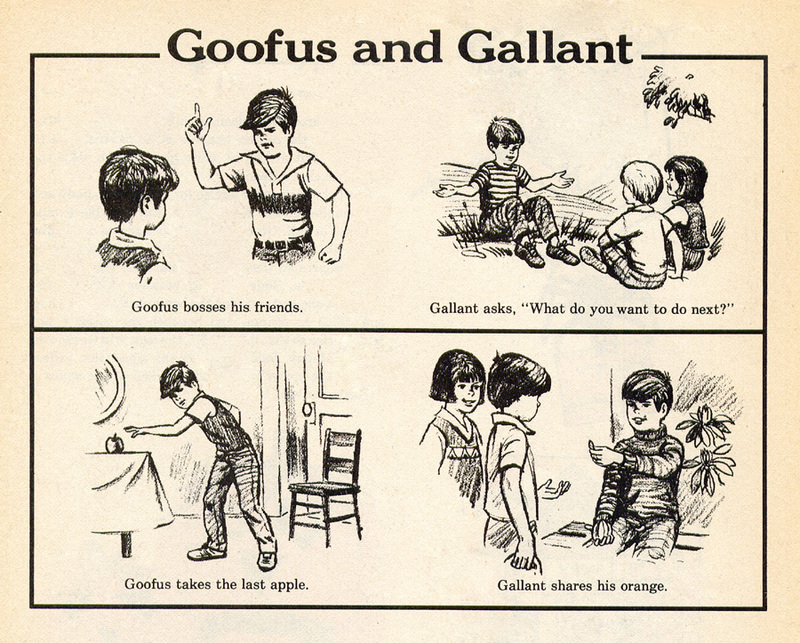 My friends waited patiently, doing homework and reading Goofus and Gallant in the Highlights for Children magazines that were lying around the waiting area while I was being examined. Sure, Goofus was a douchenoodle, but I bet he had more fun. Meanwhile, the nurse took my vitals; yes, I had a fever, and yes, my pulse ox was a bit low. And yes, I was coughing. Probably bronchitis. Moments later, a middle-aged moustached doctor came to see me, and asked me my present complaint, medical history and medications. Complaint? Fever, cough, sore throat, difficulty breathing. History? I get frequent sinus infections, and have had bronchitis before. Medications? None. The MD looked up from his chart. “Why?” He backed away. Now, before I continue, I need to explain tuberculosis (TB). As most of you know, TB is a lung infection caused by the bacteria Mycobacterium tuberculosis. The Tuberculin or PPD test determines whether you have developed an immune response to the bacteria that causes TB; however, it is not always a fool-proof test. Many Europeans, for example, will have a positive PPD test because they developed an immune response from a vaccination they received for TB (in the United States, this vaccine is not given). Conversely, some people will have a negative PPD test, but could still be infected with TB. There are two types of TB infection: a latent infection, which is asymptomatic, and an active infection, which develops in a small number of people with latent infection. 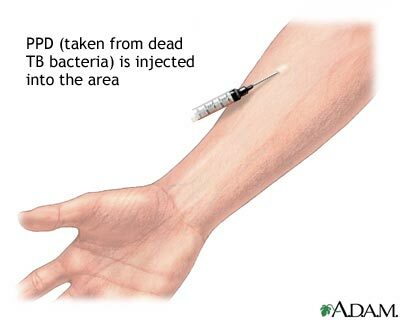 In a latent infection, often the only sign of infection is the positive PPD test. And here’s the important thing to remember: people with latent TB infection cannot spread the TB bacteria to others. Before you would be able to spread TB to others, you would have to breathe in TB bacteria and become infected. Then the active bacteria would have to multiply in your body and cause active TB disease. Active TB can be diagnosed by taking chest X-rays, microbiology samples, laboratory tests and a thorough medical history. TB is huge public health problem globally. Andrew Speaker, who had multiple drug resistant TB and boarded a couple of commercial flights to Europe and back, probably put others at risk. I was screened for TB before I started volunteering at St. Luke’s. Being in Ecuador the summer before, it was a good chance that I was exposed to TB there. As a precaution, my doctor put me on one year course of Isoniazid, so my latent TB didn’t have a chance to develop into an active TB somewhere down the road where it could become infectious. My chest X-ray was negative, and I was allowed to work with sick people in the ER at St. Luke’s. Even today, I regularly get chest X-rays to confirm that I do not have TB; I needed a chest X-ray prior to starting Clinicals in nursing school. And I’ve seen dreamy Noah Wyle scream enough codes on TV: a code that is normally reserved for a dying patient was called for me. What the hell is going on? I was so confused. Before I knew it, what looked like the entire hospital staff ran into my room. I think I saw a crash cart. “This girl has possible TB!” Before I could plead my case, a nurse hastily placed a mask over my face. “This is for the protection of all our patients at the hospital. To protect them from you. “ Why not slap a scarlet TB on my chest, lady! “But, I don’t have TB! I was just exposed! I had a chest X-ray that was negative!” A wheelchair appears. “We cleared the X-ray room, doctor.” (Cleared the X-ray room? Like there were people in line for X-rays on a Sunday night ?) I get whisked away to X-ray. Of course, the chest X-ray was negative. I didn’t have TB. Were they taking precautions by putting a mask on me? Yes. Did they go a little overboard in calling a code? Maybe. Could they have asked if I was coughing up blood (no), having night sweats (not at all) and experiencing recent unintentional weight loss (I wish! ), all symptoms of active TB infection? Sure. I was put back in the room; the face mask was removed. The tired, moustached physician explained to me why they did what they did, as he was writing a prescription for antibiotics. I likely had bronchitis. “Where do you normally get your prescriptions?” he asked, looking up from his prescription pad. I hesitated. It’s late. I’m tired. I live in a dorm. Is that what he meant? This entry was posted in stories and tagged CDC, code blue, Ecuador, ER, Ripon College, tuberculosis. Bookmark the permalink. You gave me a good chuckle this morning, Erika. Thanks!! :) Glad I could be there to see the scramble of doctors and nurses as they rushed to protect the other people in the hospital….